Liberman, I. Y., Shankweiler, D., & Liberman, A. M. (1989). The alphabetic principle and learning to read. In D. Shankweiler & I. Y. Liberman (Eds. ), Phonology and Reading Disability: Solving the Reading Puzzle. Research Monograph Series. Ann Arbor: University of Michigan Press. Proper application of the alphabetic principle rests on an awareness of the internal phonological (and morphophonological) structure of words that the alphabet represents. Unfortunately for the would-be reader-writer, such awareness is not an automatic consequence of speaking a language, because the biological specialization for speech manages the production and perception of these structures below the level of consciousness. Not surprisingly, then, awareness of phonological structures is normally lacking in preliterate children and adults; the degree to which it does exist is the best single predictor of success in learning to read; lack of awareness usually yields to appropriate instruction; and such instruction makes for better readers. That some children have particular difficulty in developing phonological awareness (and in learning to read) is apparently to be attributed to a general deficiency in the phonological component of their natural capacity for language. Thus, these children are also relatively poor in short-term memory for verbal information, in perceiving speech in noise, in producing complex speech patterns, and in finding the words that name objects. All children will benefit from instruction that is intelligently designed to show them what the alphabet is about. [Parts of this paper were adapted from "Phonology and the problems of learning to read and write." Remedial and Special Education, 1985, 6, 8-17. This research was supported in part by grant HD-01994 to Haskins Laboratories and by grant NIH-21888 to Yale University/Haskins Laboratories from the National Institute of Child Health and Human Development. * In D. Shankweiler & I. Y. Liberman (Eds. ), Phonology and Reading Disability: Solving the Reading Puzzle. IARLD Research Monograph Series. Ann Arbor: University of Michigan Press. (1989). + Also University of Connecticut, Storrs. For some 15 years, we have been exploring the sources of the problems beginners encounter in learning to read. Since children are quite fluent in their native language when first encountering the language in print, we began by asking what seemed to us the obvious question: what is required of the child in reading a language but not in speaking or listening to it? The first answer that came to mind, of course, was the discrimination of the visual shapes of the letters. But investigators who had done comprehensive studies of many different aspects of the reading process (see Doehring, 1968), or who had compiled exhaustive reviews of the visual factors involved in reading (Benton & Pearl, 1978; Stanovich, 1982; Vellutino, 1979; Vernon, 1957), were all in agreement that beginners who were making little progress in learning to read generally showed no significant difficulty in the visual identification of letters. Beyond letter identification, reading requires mastery of a system that maps letter shapes to units of speech. However, as we noted years ago (Liberman, 1973), there is no evidence that children of normal intelligence, given proper instruction, have difficulty in associating individual letters of the alphabet with their appropriate speech equivalents. Perhaps, then, they are defeated by the often complex and irregular relations in English between spelling and language. Surely, the complexities of English spelling do create some problems. But even when the items to be read include only those words that map the sound in a simple, consistent way, many children still fail (Savin, 1972). Learning to identify the letters, learning to associate them with consonant and vowel sounds, learning to cope with the irregularities of English spelling – none of these is the primary obstacle in learning to read. What is it then that makes reading so hard while speech is relatively so easy? In the seventies, we (Liberman, 1971; Shankweiler & Liberman, 1972) and other investigators (Elkonin, 1973; Gleitman & Rozin, 1977; Klima, 1972; Mattingly, 1972) proposed another possible source of difficulty in reading that is not present in speech. Although both reading and speech require some degree of mastery of language, reading requires, in addition, a mastery of the alphabetic principle. This entails an awareness of the internal phonological structure of the words of the language, an awareness that must be more explicit than is ever demanded in the ordinary course of listening and responding to speech. If this is so, it should follow that beginning learners with a weakness in phonological awareness would be at risk. We here first set forth the considerations that led us to that view, followed by the evidence that supports it. Then we say why we should consider that deficits in awareness of the phonological structure may be only one symptom of a more general underlying deficiency in the phonological component of the beginning reader’s capacity for language. Finally we consider the implications for instruction. We begin, then, with the assumption that reading by an alphabetic writing system requires mastery of the alphabetic principle. Surprisingly, this assumption, which seems to us a truism, is not accepted by everyone in the field, as we will see. But even among those who think the principle important, many take it – we would say mistake it – to mean simply an understanding by the would-be reader that the discrete letters of the alphabet represent the discrete sounds of speech. Our view (Liberman, 1983) is different. As we see it, the letters of the alphabet do not represent sounds as such, but rather the more remote phonological (and morphophonological) segments those sounds convey. This is not to quibble. For surely it must be somewhat confusing to children to be told that the word bag is spelled with three letters, when his ears tell him plainly that it has but one sound. The confusion is only worse confounded if the teacher insists, against the evidence of what the child hears, that bag can be divided into three sounds, and that these can then be "blended" so as to re-form the word. For there is, in fact, no way, with or without the marvels of modem technology, to divide bag into pieces of sound that correspond in any reasonable way to the sounds of the three letters, nor is there any way to synthesize the word by somehow putting the letter sounds together. Though bag does truly consist of three segments – it differs from sag in the first, from big in the second, and from bat in the third – these segments are to be found only in the underlying phonology, not in the surface appearances of the sound (Liberman, Cooper, Shankweiler, & Studdert-Kennedy, 1967). The identification of letters with sounds promotes yet another misunderstanding, this one about the nature of words and how they are perceived. For it accords all too well with the commonplace notion that it is only spoken words that are made of phonological units. Words that come to us via print are incorrectly thought to be different, in that they supposedly can (and perhaps should) be perceived independently of phonology. On this basis, some advise that the reader be taught from the very beginning to skip the phonology (read this as skipping the sound) and go "direct to meaning" (Goodman, 1976; Smith, 1971). Others grant that going through the phonology – which is taken to mean "sounding it out" – may be useful for the beginning reader, or for the mature reader who encounters a strange word, but they otherwise hold that the putatively "direct" (nonphonological) route is the way to go (Coltheart, 1978; Waters, Seidenberg, & Bruck, 1984). We believe that these assumptions seriously misconstrue the nature of words and the processes by which they are produced and perceived, in print as in speech. Consider, in this connection, a critical difference between language and all other natural forms of communication. In all the non-linguistic systems – whether the medium is acoustic, optical, electrical, or chemical-meanings are conveyed by signals that differ holistically, one from another. This is to say that there are no words. The inevitable consequence is that the number of meanings that can be communicated is limited to the number of holistically different signals the animal can produce and perceive, a number that is always quite small. Even if that number can somehow be increased, there is no way of doing it so as to guarantee that the new signals will be immediately recognized as belonging naturally to a system that has a specifically communicative function. Language is different in a most important way. Meanings are not conveyed directly by signals that differ holistically, but rather by words that are distinct from each other in their internal structure. This structure is formed of a small number of meaningless phonological segments we know as consonants and vowels, and governed according to a highly systematic combinatorial scheme called phonology. The consequence is that words can (and do) number in the tens of thousands. Moreover, there is a perfectly natural basis for accommodating new words, since the phonological system, which all speakers of the language have in common, automatically recognizes a new, but legal, structure as a word that stands ready to have meaning attached to it. It is only because children have this phonological system that they are able to acquire new words and their meanings with such astonishing ease and rapidity (Studdert-Kennedy, 1987). What follows, then, is that phonology governs all words, whether dead, living, or waiting to be born. So, whatever else a word is, and regardless of whether it is spoken or printed, it is always a phonological structure. If listeners or readers correctly perceive a word, they correctly perceive the structure that distinguishes it. They may very well be unsure of its meaning – indeed, they may even have got the meaning wrong – but if they have the phonological structure, they have a perfectly adequate basis for ultimately getting its meaning properly sorted out. As for going directly to meaning – that is, independently of phonology – surely that is done when a person sees a picture, for example, or hears the roar of a lion, but not when one perceives a word as it is spoken or read. From our point of view, then, there is no reason to ask, as some do, whether readers must, or should get to meaning via the phonology. To make sense of this question, one must make three false assumptions. The first is that the meanings can be communicated in language independently of words (that is, phonological structures), but in fact they cannot. The second is that the phonological units that form all words are equivalent to the sounds of speech, but in fact they are not. And the third is that an alphabetic transcription specifies, on a segment by segment basis, how the speech organs are to be articulated and coarticulated so as to produce the sounds of speech, but in fact it does not. What the reader must do is to match the alphabetic transcription to the abstract phonological structure of the word it represents. In the case of a familiar word, this structure and its associated meaning(s) are available in the reader’s lexicon; in the case of an unfamiliar word, given a command of the alphabetic principle, the structure is easily formed and thus made ready for whatever meanings may subsequently be attached to it. Once the reader has the phonological form of the word, the appropriate phonetic structure and its associated articulatory movements are automatically available to him for use in working memory, or for reading aloud if the occasion should call for that. Why is it normally so much harder and less natural to deal with phonological structures in reading and writing than it is in listening and speaking? A serious attempt to answer this question would take us quite deeply into the phonological system and its biology, for the answer requires explaining, among other things, why speech could have evolved in the history of our species but writing systems could not, and why speech can develop in the child without explicit instruction but reading and writing typically can not (Liberman, 1989). Here, we can offer only a truncated account. Like all members of the animal kingdom, human beings have highly specialized ways of communicating with their fellows. In the human case, and only there, this specialization includes, as a critical component, the phonological system that, as we have seen, makes large vocabularies possible. As this system evolved in the race, and as it develops anew in each child, it employs abstract motor structures – let us call them gestures – that ultimately control the movements of the speech organs (Browman & Goldstein, 1985; Liberman & Mattingly, 1985; Liberman & Mattingly, 1989). These gestures are adapted for one purpose and for one purpose only: the production of strings of consonants and vowels at rates many times more rapid than could otherwise be achieved. These rates, which run about eight to ten per second on average, are managed by precisely overlapping and merging the articulatory movements that produce the phonologically significant aspects of the speech sounds. This coarticulation, as it is called, is a most complex process, but it does not appear so in the normal exercise of speech functions, because it is done automatically and naturally by this aspect of the specialization for language. A consequence is that a neurologically normal child, put in a speech environment, can hardly be prevented from learning to form phonological structures and to exploit coarticulation for that purpose. (Lacking this specialization, nonhuman primates do not, and cannot, learn to produce these structures; this is to say that they cannot produce words.) A more important consequence for our purposes is that to speak a word one need not know how it is spelled. The speaker need only think of the word; the phonological component of his grammar "spells" it for him. Indeed, the automaticity of this specialization makes it that much harder to be aware of how the word is spelled, or even to know that such a thing as spelling exists. Perception of the speech signal is correspondingly complex and automatic. Given coarticulation, there is no direct correspondence between the phonological structure intended by the speaker and the surface properties of the sound. Most relevant to our concerns is the fact that, as we have so often pointed out, the number of segments in the sound is not equal to the number of segments in the phonological structure it conveys, (Liberman et al., 1967). Thus, the three consonants and vowels of a word like bag are so thoroughly coarticulated as to produce a single segment of sound. But this is no problem for listeners, for they have only to rely on their phonological specialization to automatically process the speech signal and recover the coarticulated gestures that caused it (Liberman & Mattingly, 1989). It is a problem for would-be readers, however, because, given the complex relation between phonological structure and sound, and the automaticity with which this relation is dealt with in speech, they find it just that much harder to be aware that the word does have an internal structure and thus to appreciate why an alphabetic transcription makes sense. Small wonder then that an alphabetic writing system is such a comparatively recent development in the history of our species. In contrast to the naturally evolved phonological structures it represents, it is an artifact. The development of this artifact had to wait on the discovery – and it was a discovery – that words have an internal structure. Once that discovery was available, someone could and did invent the notion that, by representing the units of that structure with arbitrarily chosen optical shapes, people could read and write all the words of the language – those they were already familiar with and those they had yet to encounter. But they could exploit this wonderful invention only if they understood the discovery on which it was based. Considerations such as these led us at the very outset of our research on reading to suppose that preliterate children would not naturally have made the discovery that underlay the invention of the alphabet, from which it would follow that they would not be prepared to understand and apply the alphabetic principle. So we began to examine developmental trends in phonological awareness by testing the ability of young children to segment words into their constituent elements. We investigated the children’s segmentation of spoken words both by syllable and phoneme (Liberman, Shankweiler, Fischer, & Carter, 1974). (The latter class of units of the phonological representation comprise the consonants and vowels. Heretofore we have referred to these only by the general term, phonological segments. From now on we will call then phonemes to distinguish them from syllables). We found that normal preschool children performed rather poorly, but that the phonemes presented the greater difficulty by far. It was clear from these results that awareness of phoneme segments, the basic units of the alphabetic orthography, is initially harder to achieve than awareness of syllable segments, and develops later, if at all. More relevant to our present purposes, it was also apparent that a large number of children, about 30 percent of our sample, had not attained an understanding of the internal phonemic structure of words, even at the end of a full year in school. Surely, they are the ones we need to worry about, because they are the ones who are deficient in the linguistic awareness that may provide entry into the alphabetic system. Is lack of phonological awareness in fact related to failure in reading and writing? That the answer is yes is strongly supported by studies in a number of languages. In English, the relation has been found, for example, in studies by Blachman (1984); Bradley and Bryant (1983); Fox and Routh (1980); Goldstein (1976); Helfgott (1976); Treiman and Baron (1981); Vellutino and Scanlon, (1987). Their findings have been supported by studies in Swedish by Lundberg and associates (Lundberg, Olofsson, & Wall, 1980) and Magnusson and Naucler (1987), in Spanish by de Manrique and Gramigna (1984), in French by a group of Belgian researchers (Alegria, Pignot, & Morais, 1982), and recently in Italian by Cossu and associates (Cossu, Shankweiler, Liberman, Tola, & Katz, 1988). The study carried out by Lundberg and his associates in Sweden (Lundberg et al., 1980) is worthy of special mention on two counts. It provides one of the most intensive examinations of the linguistic abilities of the kindergartners. It is noteworthy as well because it also addresses the question of whether the children’s deficiency is, in fact, linguistic or whether it might be attributable to a deficiency in general analytic ability. Their battery of 11 tests given to 200 kindergartners included both linguistic and nonlinguistic tasks. In the linguistic set were: (1) word synthesis tasks that varied in two dimensions of two levels each with or without memory load and using either phoneme or syllable units, and (2) word analysis tasks analogous to those for synthesis and, in addition, three others demanding analysis of phoneme position in words, reversal of phoneme segments in words, and rhyming. Since the linguistic tasks required the child to shift attention from meaning to abstract form, thus possibly reflecting a general cognitive function not exclusively limited to linguistic material, non-linguistic control tasks that simulated those cognitive demands were also included. The most powerful predictors of later reading and writing skills in the entire battery turned out to be those requiring phonological awareness, specifically the analytic ability to manipulate phonemes in words. In contrast, the poor readers showed no particular deficiency in the non-linguistic tasks. These findings that tasks of linguistic, rather than nonlinguistic analysis, and specifically phonemic analysis, were predictive of reading failure have since received support from other studies here and abroad. For example, in a study of six to nine-year-olds with severe reading disability (Morais, Cluytens, & Alegria, 1984) it was found that these children were poorer on segmenting words into their constituent parts but performed just as well as normal readers in a matched task that required them to deal analytically with musical tone sequences instead of words. The question of a possible general analytic deficit was also addressed in two complementary experiments, one with good and poor readers in the third grade and the other with good and poor readers in adult education classes (Pratt, 1985). All the subjects were given three linguistic awareness tests and one nonspeech control task identical in format to one of the linguistic measures. Significant differences were found between the good and poor readers at both age levels on all three linguistic measures, but not on the nonspeech control task. Thus the poor readers, whether young or old, had no more difficulty in segmental analysis than the good readers when the task was nonlinguistic; their problem was limited to the segmental analysis of speech. Among the four language-based tests that did not contribute to the invented spelling performance were three that are frequently included in clinical evaluations – receptive vocabulary, articulation as measured by the repetition of simple words, and letter naming or writing. The fourth was a syllable deletion test ("Say bookcase without the book"). Being able to segment words by syllable was, as we would expect, not enough to equip the child to produce alphabetically written words. Given the abundant evidence that phonological awareness is predictive of success in reading, it is of interest to know that such awareness can be trained even in preschool and kindergarten (Bradley & Bryant, 1983; Content, Morais, Alegria, & Bertelson, 1982; Lundberg, Frost, & Peterson, 1988; Olofsson & Lundberg, 1983). It is of special interest to find, moreover, that the training can have a salutary effect on future reading skill. Impressive evidence for the efficacy of the training comes from a pair of experiments by Bradley and Bryant (1983). The first experiment confirmed the high correlations found by others between preschoolers’ phonological awareness and later reading skill. This was done by a comparison of children’s performance on rhyming tasks and their achievement in reading and spelling several years later. The second experiment was directed to an examination of the effect of various kinds of early training on the later academic achievements of children considered to be at risk for failure. To this end, the children who had been found in the first experiment to have a low level of phonological awareness were divided into four groups. One group was trained to sort pictured words on cards by phonological categories. 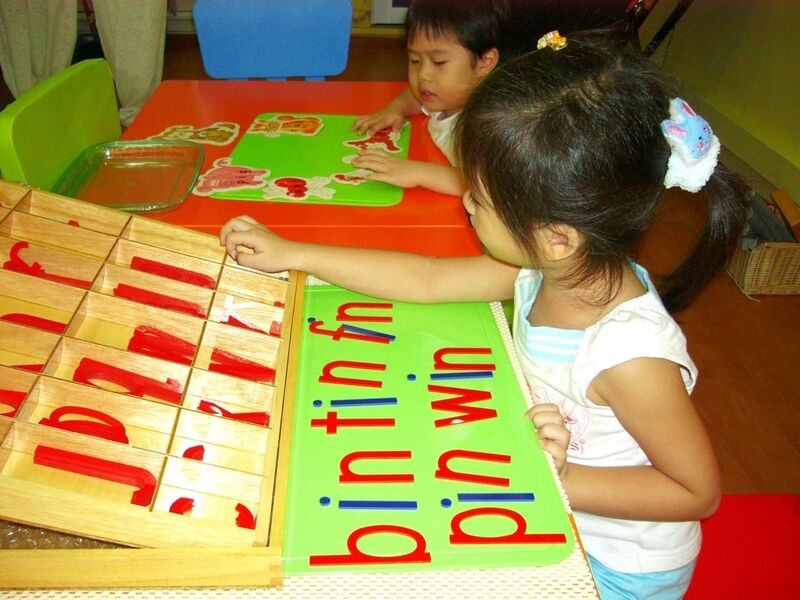 A second received the same training except that letters corresponding to the phonemic categories were added. A third group was trained to sort by semantic categories. A control group was given equal time and unrelated card play. The two phonologically trained groups were found to be superior to the others in subsequent tests of reading and spelling. Moreover, in follow-up studies, they continued to maintain their advantage. Further evidence for the positive effect of early training in phonological awareness is found in a longitudinal study by Lundberg and associates (Lundberg, et al., 1988). An experimental group of kindergartners who had participated in a variety of analytic word games was found at year-end to be superior in phoneme awareness to a matched control group. When compared in academic achievement in the first grade, the experimental group was slightly below the controls in math and IQ but significantly superior in both reading and spelling. Moreover their advantage was maintained when the children were retested in the second grade. What about phonological awareness in adult nonreaders? Is it still a problem for them? The question as to whether phonological awareness improves spontaneously with age or requires some form of instruction is a crucial one, with obvious implications not only for preschool instruction but also for the design of literacy teaching programs geared to adolescents and adults. This question was explored in an unusual investigation by a Belgian research group who examined the phonological awareness of illiterate adults in a rural area of Portugal (Morais, Cary, Alegria, & Bertelson, 1979). They found that the illiterate adults could neither delete nor add phonemes at the beginning of nonsense words, whereas others from the same community who had received reading instruction in an adult literacy class succeeded in performing those tasks. The authors concluded that awareness of phoneme segmentation does not develop spontaneously even by adulthood but arises as a concomitant of reading instruction and experience. In view of these findings, we believed it would prove of value to test the phonological awareness of adults who had had reading instruction but were nonetheless poor readers. To this end, our reading research group (Liberman, et al., 1985) tested the members of a community literacy class, all of whom were having serious decoding problems despite years of schooling. What we found was that these adults performed with difficulty on a very simple task in which the subjects were required only to identify the initial, medial, or final sound in monosyllabic words. Though this is an exercise that one might expect a first grader to be able to perform, our adults managed to produce correct responses on only 58 percent of the items. Moreover, they clearly found it to be singularly frustrating and unpleasant. This inability of adults with literacy problems to perform well on tasks demanding explicit understanding of phonological structure has also been found by other investigators – Byrne and Ledez (1983) in Australia; Marcel (1980) in England; and Read and Ruyter (1985) in a prison population in the U.S.
Why do some people have difficulty in achieving the understanding of phonological structure that application of the alphabetic principle requires? One possibility, as we noted before, is that they may suffer from a general deficiency in the ability to divide objects of all kinds into their constituent elements. But as we pointed out, the results of several studies suggest that the difficulty is specifically linguistic. Another possibility – one that we and others have pursued – is that the poor reader’s difficulty with analyzing words into their constituent units is one among several symptoms of a general deficiency in the phonological component of the child’s natural capacity for language. If the underlying biology tends to set up phonological structures weakly, then it should follow that these structures would be that much harder for the child to bring to a level of explicit awareness. But there would be other consequences for the processing of language, and these we consider below. Because short-term memory depends on the ability to gain access to phonological structure and to use it to hold linguistic information (Conrad, 1964; Liberman, Mattingly, & Turvey, 1972), we might expect people who have underlying phonological deficiencies to show various limitations on verbal tasks that tap short-term memory. This expectation is amply borne out. The research literature contains many reports that young children who are poor readers are deficient in short-term memory. Typically they retain fewer items from a set of fixed size than age-matched good readers (see Mann, Liberman, & Shankweiler, 1980; Shankweiler, Liberman, Mark, Fowler, & Fischer, 1979; Shankweiler, Smith, & Mann, 1984; Wagner & Torgesen, 1987). However, memory difficulties for poor readers appear to arise only under specific conditions; chiefly, they occur when the items to be retained are words and nameable objects. When the test materials do not lend themselves to verbal (i.e., phonological) encoding, as in memory for nonsense shapes or unfamiliar faces, memory testing does not find poor readers at a disadvantage (Katz, Shankweiler, & Liberman, 1981; Liberman, Mann, Shankweiler, & Werfelman, 1982). The problem seems, therefore, to be a material-specific one, not an all-embracing memory impairment. It is noteworthy, in addition, that memory differences between good and poor readers may also depend on other demands of the task-tasks that require rote recall of a list of unstructured items may be less differentiating than tasks that require both storage and further processing of the incoming material as in sentence processing (Daneman & Carpenter, 1980; Perfetti & Goldman, 1976). Since language structures are hierarchically organized and sequentially transmitted, comprehension of language, either by ear or by eye, depends on a short-term memory system that transiently stores and continuously processes the incoming segments of the linguistic message. In keeping with current usage (see Baddeley & Hitch, 1974; also Shankweiler & Crain, 1986), we call this form of memory working memory, a term which is used throughout this book. A phonological deficiency would understandably impair the functions of working memory and could be expected, in turn, to have repercussions on comprehension, whether of spoken discourse or printed text. For example, in sentence processing, the parsing of phonological segments into lexical units and the grouping of these units into higher-level phrasal structures requires phased control of the flow of linguistic information through the language apparatus. We could therefore expect that children with reading disability would sometimes comprehend sentences poorly because of their difficulties in setting up and retaining phonological structures. The difficulty should be especially acute in reading, where the problem of decoding from print would create an additional processing load in an unskilled reader who decodes poorly. The important insight that the lower-level and higher-level reading problems of the poor reader are causally connected through constriction of working memory was contributed by Perfetti and Lesgold (1979). In their terms, poor decoding skills coupled with the limitations of working memory create in the poor reader a "bottleneck" in information flow with severe repercussions for comprehension. But, as Crain and Shankweiler discuss (Crain, 1989; Shankweiler, 1989), comprehension difficulties of poor readers are not limited to reading. From our working memory perspective, difficulties should also arise in spoken language processing, especially if the sentence material contains remote dependencies or structural ambiguities that necessitate reanalysis, or if the comprehension task presents additional complexities that further dilute memory resources. Several reports in the literature indicate that disabled readers do have problems in comprehending such sentences in spoken form as well as in reading (Byrne, 1981; Mann, Shankweiler, &Smith, 1984; Stein, Cairns, & Zurif, 1984). More recent findings (Shankweiler, 1989) indicate that the poor readers fail not because they lag behind their good reading peers in comprehension of grammar as such, but because working memory is overloaded due to deficient phonological processing. By changing the task in various ways to reduce the demands on memory while testing the same grammatical structures, it has been shown that poor readers can succeed as well as good readers in comprehending complex grammatical structures (Crain, Shankweiler, Macaruso, & Bar-Shalom, 1990; Smith, Macaruso, Shankweiler, & Crain, 1989). Thus, a memory impairment stemming from a weakness in phonological processing can masquerade as a grammatical or semantic deficit. Thus far we have discussed difficulties involving the phonological components of language that directly affect reading. Reading is affected both by the difficulties of accessing and mentally manipulating phonemic segments and by the limitations on use of the working memory that we have just discussed (though in the case of working memory the consequences are not confined to reading). We now turn to other deficits displayed by poor readers that are phonological in nature, but do not affect reading directly. These are worth mentioning, both for their diagnostic value, and because they add to the weight of the evidence that all the elements of the syndrome of many poor readers may stem ultimately from a deficiency in phonological processing. One such deficit is suggested by some preliminary research into the speech perception of poor readers that was carried out by Brady and associates at Haskins Laboratories (Brady, Shankweiler, & Mann, 1983). In their experiments, good and poor readers were tested on two auditory perception tasks, one involving words and the other nonspeech environmental sounds. The identification tasks were presented under two conditions – with favorable and unfavorable noise ratios. The findings were that the poor readers did show a deficit, but it was specific to the speech stimuli and occurred only in the noise-masked condition. They did not differ from the good readers in the perception of nonspeech environmental sounds, whether the sounds were noise masked or not. Note that the poor readers apparently needed a higher quality of signal than the good readers for error-free performance in speech, but not for nonspeech environmental sounds. These results suggest that the minor deficit displayed by the poor readers may derive from phonological structures that are set up more weakly than in good readers, or are more difficult to activate. Additional evidence for a broader phonological deficit in poor readers is provided by a study of speech production, specifically, the errors of junior high school students (Catts, 1986). The critical finding was that the reading disabled students made significantly more errors than matched normals on three different tasks in which their speech production was stressed. The author concluded, as we would, that their difficulties in speech production may be an extension of deficits in the phonological realm. More evidence for a broad phonological deficit in poor readers was provided by a study of the performance of second graders on a naming test (Katz, 1986). This study confirmed what others had shown – that poor readers named more words incorrectly. But it went further to show that their difficulties are often phonological and not semantic, as might be assumed. Three kinds of evidence were presented in this regard. First, when quizzed about the characteristics of the object they had named incorrectly (e.g., "tornado" for volcano), the poor readers were often able to describe it accurately. They clearly knew what the object was. That is, they described a volcano, not a tornado. Second, given the name of the item, they could select it from a group of pictured objects. That is, they could identify it correctly. And third, their naming errors were often related to the phonological and not the semantic aspect of the word. For example, though the name given to the picture of a volcano was incorrect, it shared syllable count, stress pattern, and vowels with the target word. Distorted production of the word for an item that had been correctly identified could stem either from deficient specification of the phonological structure in the lexicon, or from deficient retrieval and processing of the stored phonological information. In either case, the source of the difficulty relates to the phonological structure of the words and not to their meanings. The congenitally deaf constitute a population with a phonological impairment arising from an entirely different source. Surprisingly, this group represents some of the most compelling evidence for the importance of phonological abilities for reading. It is well known that profound deafness from birth or early life usually results in attainment of a low level of reading skill. The hearing impaired of all ages tend to read far below grade expectations. But, nonetheless, differences in reading achievement are related to differences in phonological abilities even in deaf populations. Moreover, a few congenitally, profoundly deaf individuals can read well, even up to the college level. How are these successful deaf readers different from the majority? Vicki Hanson and her associates at Haskins Laboratories asked that question in a series of experiments (Hanson, 1982; Hanson & Fowler, 1987; Hanson, Liberman, & Shankweiler, 1984) reported on by Hanson (1989). Briefly, they found that the successful deaf readers were not limited to reading English words as if they were logographs; that is, they were not, as one might assume, dependent on a limited store of words learned in paired associate fashion as visual designs. The results, which are discussed in detail by Hanson (1989) showed that unlike their poor reading peers among the deaf, these subjects, despite so little exposure to sound, were able to access that knowledge both in reading and in retaining verbal material in short-term memory. In reading, the good readers among the deaf displayed their phonological sensitivity by responding differentially to rhyming and non-rhyming pairs of words (save/wave vs. have/cave) and by being able to name the real word equivalents of nonwords (flame for f-l-a-i-m; tall for t-a-u-l). In a short-term memory experiment, the successful deaf readers were more affected by phonetically confusing words than by those that were orthographically confusing or whose signs were formationally confusing. These results certainly suggest that successful deaf readers are using phonological processing, a conclusion also reached by Conrad with a less severely impaired population of deaf readers (Conrad, 1979). The question of how the congenitally, profoundly deaf might develop phonological sensitivity without being able to hear the sounds of speech is explored by Hanson (1989). She identifies several sources of information that may be helpful. The orthography itself tells them something about the systematic phonological forms of words. In addition, oral training when available supplies information about the gestures used to produce speech. Lipreading also provides considerable useable information, and the deaf individual’s own attempts at speech may reflect more phonological sensitivity than is apparent to the hearing listener. In view of all the evidence that has accumulated in the past 15 years to support the critical importance of phonological sensitivity for the attainment of literacy in an alphabetic system, one would surely expect teacher training to reflect these findings. Unfortunately, all too often it does not. Many teachers are being trained to teach reading without themselves ever having learned how an alphabetic orthography represents the language, why it is important for beginners to understand how the internal phonological structure of words relates to the orthography, or why it is hard for children to achieve this understanding. Fortunately, many children – the lucky 75 percent or so who learn to read whatever the method – manage to pick up the alphabetic principle without much explicit instruction, if any. That is, given experience with printed material, they begin to discover for themselves the commonalities between similarly spoken and written words. When tested in kindergarten, these children turn out to be the ones with strengths in the phonological domain. For the large group of children with phonological deficiencies who do not understand that the spoken word has segments, and who have not discovered on their own that there is a correspondence between those segments and the segments of the printed word, the current vogue for the so-called (and from our point of view, misnamed) psycholinguistic guessing game and its offshoots, the "whole language" and "language experience" approaches, are likely to be disastrous. Many children taught this way are likely to join the ranks of the millions of functional illiterates in our country who stumble along, guessing at the printed message from their inadequate store of memorized words, unable to decipher a new word they have never seen before. For those beginners who do not discover the alphabetic principle unaided, an introductory method that provides them with direct instruction in what they need to know is critical (Liberman, 1985; Liberman & Shankweiler, 1979). Direct instruction could begin with language analysis activities that are incorporated into the daily reading lesson. These activities can take many different forms, limited in number and variety only by the creativity of the teacher. The Auditory Discrimination in Depth Program of Lindamood and Lindamood (1975) is an ingenious method for helping the student to apprehend the internal phonological structure of words. It does this by calling the student’s attention to the perceived distinctiveness of the articulatory gestures for the various phonemic constituents of spoken words and then demonstrating their sequences in syllables with variously colored blocks. The method was originally developed for individual reading remediation, but is currently being adapted for classroom use. Adaptations of three exercises that we advocated some years ago (Liberman, Shankweiler, Blachman, Camp, & Werfelman, 1980) have recently been shown by one of our colleagues (Blachman, 1987) to be effective in improving reading skills even in an inner city school with a high incidence of reading failure. They are outlined in Figure 1. In the first procedure, one originally devised by the Soviet educator, Elkonin (1973), Blachman presents the child with a simple line drawing representing the word to be analyzed. A rectangle under the drawing is divided into squares equal in number to the phonemes in the picture word. The children are taught to say the word slowly, placing a counter in the appropriate squares of the diagram as the word is being slowly articulated. The words selected must begin with a fricative, liquid, or nasal rather than a stop consonant in order to permit their component phonemes to be accessed readily. Later, as the child progresses, the counters are color-coded – one color for vowels, another for consonants. Figure 1. Language analysis activities (after Blachman, 1987 and Liberman et al., 1980). Letter symbols can be added as well. In another activity, this one adapted from Engelmann (1969), the children are taught how to read as a single unit the combination of a consonant followed by a vowel. For example, the teacher writes a consonant on the blackboard (preferably a fricative, nasal, or liquid) – the letter s, for example – and pronounces it, holding it over time until she writes the vowel and pronounces that. The length of time between the pronunciations of the initial consonant and the vowel (as well as a line drawn between them on the board) is then reduced step by step until the two phonemes are pronounced as a single unit – "sa." By adding stop consonants in the final position and pronouncing the resultant words, the children can begin to accumulate a pool of real words (sag, sat, sad, etc.). Thereafter, new vowels and new consonants can be introduced in the same way, and built into new words which are incorporated into stories to be read and written. A similar effect can be produced by a third procedure, adapted from Slingerland (1971), in which a small pocket chart is used by the child at each desk to manipulate individual letters to form new words and learn new phonemes. The words thus constructed, along with a few nonphonetic "sight" words, can be used in stories and poems to be read and written by the child. Note that the child is now reading and writing words the structure of which is no longer a mystery and the understanding of which can be used productively to form related words (bag, bat, bad, big, bit, bid, etc.). All these language analysis activities and others like them can be played as games in which the introduction of each new element not only informs but delights. Beginning readers with adequate phonological ability will require only a relatively brief exposure to such activities. They will soon develop skills that will enable them to decode the new words of the text and to go from them to the meaning of the passage. For such readers, language analysis can be quickly followed, or even accompanied, by practice with interesting reading materials from other sources. These children will benefit from the added skill that comes from increased reading practice and the further enhancement of vocabulary and knowledge that comes with expanded reading and life experience. But unless they receive extra assistance, the many beginners with weakness in phonological skills, who may include as many as 20 to 25 percent of the children, will remain locked into a sight-word stage of reading, able to cope only with those few words they have already memorized. They will not learn to decode new words – the essence of true reading skill – unless the method initially includes more intensive, direct, and systematic training in phonological structure and demonstrates how it relates to the way words are written. Research support for this view has been available for at least twenty years (see Chall, 1967 or Pflaum, Walberg, Karegianes, & Rasher, 1980). It is surely time to put the research into practice. Baddeley, A D., & Hitch, G. (1974). Working memory. In G. H. Bower (Ed. ), The psychology of learning and activation (Vol. 4). New York: Academic Press. Benton, A. L., & Pearl, D. (1978). Dyslexia: An appraisal of current knowledge. New York: Oxford University Press. Blachman, B. (1984). The relationships of rapid naming ability and language analysis skills to kindergarten and first grade reading achievement. Journal of Educational Psychology, 76, 610-622. Blachman, B. (1987). An alternative classroom reading program for learning disabled and other low-achieving children. In W. Ellis (Ed. ), Intimacy with language: A forgotten basic in teacher education. Baltimore: The Orton Dyslexia Society. Bradley, L., & Bryant, P. E. (1983). Categorizing sounds and learning to read - a causal connection. Nature, 301, 419-421. Brady, S. A., Shankweiler, D., & Mann, V. A. (1983). Speech perception and memory coding in relation to reading ability. Journal of Experimental Child Psychology, 35, 345-367. Browman, C. P., & Goldstein, L. M. (1985). Dynamic modeling of phonetic structure. In V. Fromkin (Ed. ), Phonetic linguistics. New York: Academic Press. Byrne, B. (1981). Deficient syntactic control in poor readers: Is a weak phonetic memory code responsible? Applied Psycholinguistics, 2, 201 -212. Byrne, B., & Ledez, J. (1983). Phonological awareness in reading disabled adults. Australian Journal of Psychology, 35, 185-197. Catts, H. W. (1986). Speech production/phonological deficits in reading disordered children. Journal of Learning Disabilities, 19(8), 504-508. Chall, J. (1967). Learning to read: The great debate. New York: McGraw Hill. Coltheart, M. (1978). Lexical access in simple reading tasks. In G. Underwood (Ed. ), Strategies in information processing. London: Academic Press. Conrad, R. (1964). Acoustic confusions in immediate memory. British Journal of Psychology, 55, 75-84. Conrad, R. (1979). The deaf child. London: Harper & Row. Content, A., Morais, J., Alegria, J., & Bertelson, P. (1982). Accelerating the development of phonetic segmentation skills in kindergartners. Cahiers de Psychologie Cognitive, 2, 259-269. Cossu, G., Shankweiler, D., Liberman, I. Y., Tola, G., & Katz, L. (1988). Awareness of phonological segments and reading ability in Italian children. Applied Psycholinguistics, 9, 1-16. Crain, S. (1989). Why poor readers misunderstand spoken sentences. In D. Shankweiler & I. Y. Liberman (Eds. ), Phonology and reading disability: Solving the reading puzzle (pp. 133-165). IARLD Research Monograph Series. Ann Arbor: University of Michigan Press. Crain, S., Shankweiler, D., Macaruso, P., & Bar-Sholom, E. (1990). Working memory and sentence comprehension: Investigations of children with reading disorder. In G. Vallar & T. Shallice (Eds. ), The neuropsychology of memory disorder. Cambridge, England: Cambridge University Press. Daneman, M., & Carpenter, P. A. (1980). Individual differences in working memory and reading. Journal of Verbal Learning and Verbal Behavior, 19, 450-466. Doehring, D. G. (1968). Patterns of impairment in specific reading disability. Bloomington: Indiana University Press. Elkonin, D. B. (1973). U. S. S. R. In J. Downing (Ed. ), Comparative reading. New York: MacMillan. Engelmann, S. (1969). Preventing failure in the primary grades. Chicago: Science Research Associates. Fox, B., & Routh, D. K. (1980). Phonetic analysis and severe reading disability in children. Journal of Psycholinguistic Research, 9, 115-119. Gleitman, L. R, & Rozin, P. (1977). The structure and acquisition of reading. Relations between orthographies and structure of language. In A. S. Reber & D. L. Scarborough (Eds. ), Toward a psychology of reading Hillsdale, NJ: Erlbaum. Goldstein, D. M. (1976). Cognitive-linguistic functioning and learning to read in preschoolers. Journal of Experimental Psychology, 68, 680-688. Goodman, K. S. (1976). Reading: A psycholinguistic guessing game. In H. Singer & R B. Ruddell (Eds. ), Theoretical models and processes of reading. Newark, DE: International Reading Association. Hanson, V. L. (1989). Phonology and reading: Evidence from profoundly deaf readers. In D. Shankweiler & I. Y. Liberman (Eds. ), Phonology and reading disability: Solving the reading puzzle (pp. 69-89). IARLD Research Monograph Series. Ann Arbor: University of Michigan Press. Hanson, V. L (1982). Short-term recall by deaf signers of American Sign Language: Implications of encoding strategy for order recall. Journal of Experimental Psychology: Learning, Memory, and Cognition, 8, 572-583. Hanson, V. L., & Fowler, C. A. (1987). Phonological coding in word reading: Evidence from hearing and deaf readers. Memory and Cognition, 15(3), 199-207. Hanson, V. L., Liberman, I. Y., & Shankweiler, D. (1984). Linguistic coding by deaf children in relation to beginning reading success. Journal of Experimental Child Psychology, 37, 398-393. Helfgott, J. (1976). Phoneme segmentation and blending skills of kindergarten children: Implications for beginning reading acquisition. Contemporary Educational Psychology, 1, 157-169. Katz, R. B. (1986). Phonological deficiencies in children with reading disability: Evidence from an object-naming task. Cognition, 22, 25-257. Katz, R B., Shankweiler, D., & Liberman, I. Y. (1981). Memory for item order and phonetic recoding in the beginning reader. Journal of Experimental Child Psychology, 32, 474-484. Liberman, A. M. (1989). Reading is hard just because listening is easy. In C. von Euler, I. Lundberg, & G. Lennerstrand (Eds. ), Wenner-Gren International Symposium Series 54: Brain and Reading. Hampshire, England: Macmillan. Liberman, A. M., Cooper, F. S., Shankweiler, D. P., & Studdert-Kennedy, M. (1967). Perception of the speech code. Psychological Review, 74, 431-461. Liberman, A. M., & Mattingly, I. G. (1985). The motor theory of speech perception revised. Cognition, 21, 1-36. Liberman, A. M., & Mattingly, I. G. (1989) A specialization for speech perception. Science, 243, 489-494. Liberman, A. M., Mattingly, I. G., & Turvey, M. T. (1972). Language codes and memory codes. In A. W. Melton & E. Martin (Eds. ), Coding processes in memory. New York: Winston. Liberman, I. Y. (1971). Basic research in speech and lateralization of language: Some implications for reading disability. Bulletin of the Orton Society, 21, 71-87. Liberman, I. Y. (1973). Segmentation of the spoken word and reading acquisition. Bulletin of the Orton Society, 23, 65-77. Liberman, I. Y. (1983). A language-oriented view of reading and its disabilities. In H. Myklebust (Ed. ), Progress in learning disabilities (Vol. 5). New York: Grune & Stratton. Liberman, I. Y. (1985). Should so-called modality preferences determine the nature of instruction for children with learning disabilities? In F. H. Duffy & N. Geschwind (Eds. ), Dyslexia: A neuroscientific approach to clinical evaluation. Boston: Little, Brown. 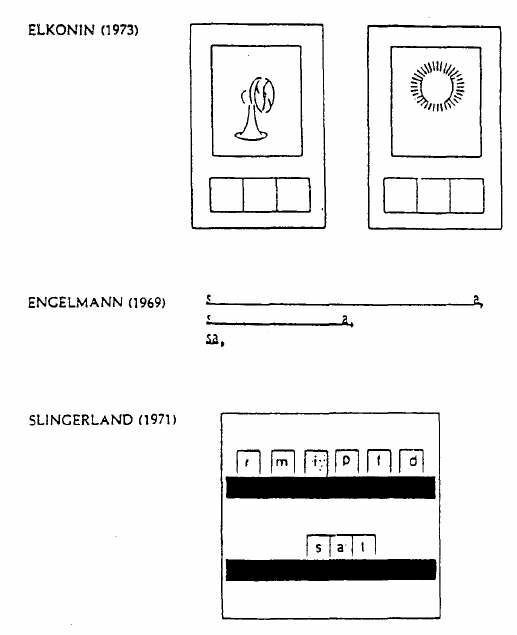 Liberman, I. Y., Mann, V., Shankweiler, D., & Werfelman, M. (1982). Children’s memory for recurring linguistic and nonlinguistic material in relation to reading ability. Cortex, 18, 367-375. Liberman, I. Y., Rubin, H., Duques, S., & Carlisle, J. (1985). Linguistic abilities and spelling proficiency in kindergartners and adult poor spellers. In J. Kavanagh & D. Gray (Eds. ), Biobehavioral Measures of Dyslexia. Parkton, MD: York Press. Liberman, I. Y., & Shankweiler, D. (1979). Speech, the alphabet and teaching to read. In L. B. Resnik & P. A. Weaver (Eds. ), Theory and practice of early reading. Hillsdale, NJ: Erlbaum. Liberman, I. Y., & Shankweiler, D. (1985). Phonology and the problems of learning to read and write. Remedial and Special Education, 6, 8-17. Liberman, I. Y., Shankweiler, D., Blachman, B., Camp, L., & Werfelman, M. (1980). Steps toward literacy. In P. Levinson & C. Sloan (Eds. ), Auditory processing and language: Clinical and research perspectives. New York: Grune and Stratton. Liberman, I. Y., Shankweiler, D., Fischer, F. W., & Carter, B. (1974). Explicit syllable and phoneme segmentation in the young child. Journal of Experimental Child Psychology, 18, 201-212. Lindamood, C. H., & Lindamood, P. C. (1975). DIM Teaching Resources. Allen, Texas. Lundberg, I., Olofsson, A., & Wall, S. (1980). Reading and spelling skills in the first school years, predicted from phonemic awareness skills in kindergarten. Scandinavian Journal of Psychology, 21, 159-173. Lundberg, I., Frost, J., & Petersen, O-P. (1988). Effects of an extensive program for stimulating phonological awareness in preschool children. Reading Research Quarterly, 23/3, 263-284. Marcel, A. (1980). Phonological awareness and phonological representation: Investigation of a specific spelling problem. In U. Frith (Ed. ), Cognitive processes in spelling. London: Academic Press. Magnusson, E., & Nauder, K. (1987). Language disordered and normally speaking children’s development of spoken and written language: Preliminary results from a longitudinal study. Reports from Uppsala University, Linguistics Department, 16, 35-63. Mann, V., Liberman, I. Y., & Shankweiler, D. (1980). Children’s memory for sentences and word strings in relation to reading ability. Memory and Cognition, 8, 329-335. Mann, V., Shankweiler, D., & Smith, S. (1984). The association between comprehension of spoken sentences and early reading ability: The role of phonetic representation. Journal of Child Language, 11, 627-643.
de Manrique, A. M. B., & Gramigna, S. (1984). La segmentacionfonologica y silabica en ninos de preescolar y primer grado. Lectura y Vida, 5, 4-13. .
Mattingly, I. G. (1972). Reading, the linguistic process, and linguistic awareness. In J. F. Kavanagh & I. G. Mattingly (Eds. ), Language by ear and by eye: The relationships between speech and reading. Cambridge, MA: MIT Press. Morais, J., Cary, L., Alegria, J., & Bertelson, P. (1979). Does awareness of speech arise spontaneously? Cognition, 7, 323-331. Morais, J., Cluytens, M., & Alegria, J. (1984). Segmentation abilities of dyslexics and normal readers. Perceptual and Motor Skills, 58, 221-222. Olofsson, A., & Lundberg, I. (1983). Can phonemic awareness be trained in kindergarten? Scandinavian Journal of Psychology, 24, 35-44. Perfetti, C. A., & Goldman, S. R. (1976). Discourse memory and reading comprehension skill. Journal of Verbal Learning and Verbal Behavior, 14, 33-42. Perfetti, C. A., & Lesgold, A. M. (1979). Coding and comprehension in skilled reading and implications for reading instruction. In L. B. Resnick & P. A. Weaver (Eds. ), Theory and practice of early reading, Volume 1. Pflaum, S. W., Walberg, H. J., Karegianes, M. L., & Rasher, S. P. (1980). Reading instruction: A quantitative analysis. Educational Research, 9, 12-18. Pratt, A. (1985). The relationship of linguistic awareness to reading skill in children and adults. Unpublished doctoral dissertation, University of Rhode Island. Read, C. (1986). Children’s creative spelling. London: Routledge & Kegan Paul. Read, C., & Ruyter, L. (1985). Reading and spelling skills in adults of low literacy. Reading and Special Education, 6, 43-52. Savin, H. (1972). What the child knows about speech when he starts to learn to read. In J. F. Kavanagh & 1. G. Mattingly (Eds. ), Language by ear and by eye: The relationships between speech and reading. Cambridge, MA: MIT Press. Shankweiler, D. (1989). How problems of comprehension are related to difficulties in decoding. In D. Shankweiler & I. Y. Liberman (Eds. ), Phonology and reading disability: Solving the reading puzzle (pp. 35-68). IARLD Research Monograph Series. Ann Arbor: University of Michigan Press. Shankweiler, D., & Crain, S. (1986). Language mechanisms and reading disorders: a modular approach. Cognition, 24, 139-168. Shankweiler, D., & Liberman, I. Y. (1972). Misreading: A search for causes. In J. F. Kavanagh & 1. G. Mattingly (Eds. ), Language by ear and by eye: The relationships between speech and reading. Cambridge, MA: MIT Press. Shankweiler, D., Liberman, I. Y., Mark, L. 5., Fowler, C. A., & Fischer, F. W. (1979). The speech code and learning to read. Journal of Experimental Psychology: Human Learning and Memory, 5, 531-545. Shankweiler, D., Smith, S. T., & Mann, V. (1984). Repetition and comprehension of spoken sentences by reading disabled children. Brain and Language, 12, 241-257. Slingerland, B. H. (1971). A Multisensory Approach to Language Arts for Specific Language Disability Children: A Guide for Primary Teachers. Cambridge, MA: Educators Publishing Service. Smith, F. (1971). Understanding reading: A psycholinguistic analysis of reading and learning to read. New York; Holt, Rinehart, & Winston. Smith, S. T., Macaruso, P., Shankweiler, D., & Crain, S. (1989). Syntactic comprehension in young poor readers. Applied Psycholinguistics, 10, 429-454. Stanovich, K. E. (1982). Individual differences in the cognitive processes of reading: I. Word coding. Journal of Learning Disabilities, 15, 449-572. Stein, C. L., Cairns, H. S., & Zurif, E. B. (1984). Sentence comprehension limitations related to syntactic deficits in reading disabled children. Applied Psycholinguistics, 5, 305-322. Studdert-Kennedy, M. (1987). The phoneme as a perceptuo-motor structure. In A. Allport, D. MacKay, W. Prinz, & E. Sheerer (Eds. ), Language perception and production. London: Academic Press. Treiman, R. A., & Baron, J. (1981). Segmental analysis ability: Development arid relation to reading ability. In G. E. MacKinnon & T. G. Walker (Eds. ), Reading research: Advances in theory and practice, 3. New York: Academic Press. Vellutino, F. R., & Scanlon, D. (1987). Phonological coding and phonological awareness and reading ability: Evidence from a longitudinal and experimental study. Merrill-Palmer Quarterly, 33/3,321-363. Vernon, M. D. (1957). Backwardness in reading, a study of its nature and origin. Cambridge, England: Cambridge University Press. Wagner, R. K., & Torgesen, J. K. (1987). The nature of phonological processing in the acquisition of reading skills. Psychological Bulletin, 101, 192-212. Waters, G. S., Seidenberg, M. S., & Bruck, M. (1984). Children’s and adult’s use of spelling-sound information in three reading tasks. Memory & Cognition, 12, 293-305. - Liberman, A. M. (1944). The effect of interpolated activity on spontaneous recovery from experimental extinction. Journal of Experimental Psychology, 34, 282-301. - Cooper, F. S., Liberman, A. M., and J. M. Borst. (1951). The interconversion of audible and visible patterns as a basis for research on the perception of speech. Proceedings of the National Academy of Science, 37, 318-325. - Liberman, A. M. (1951). A comparison of transfer effects during acquisition and extinction of two instrumental responses. Journal of Experimental Psychology, 41, 192-198. - Delattre, P. C., Liberman, A. M., and F. S. Cooper. (1951). Voyelles synthetiques a deux formantes et voyelles cardinales. Le Maitre Phonetique, 96, 30-36. - Liberman, A. M., Delattre, P. C., and F. S. Cooper. (1952). The role of selected stimulus variables in the perception of unvoiced stop consonants. American Journal of Psychology, 65, 497-516. - Cooper, F. S., Delattre, P. C., Liberman, A. M., Borst, J. M., and L. J. Gerstman. (1952). Some experiments on the perception of synthetic speech sounds. Journal of the Acoustical Society of America, 24, 597-606. - Liberman, A. M., Delattre, P. C., Gerstman, L. J., and F. S. Cooper. (1956). Tempo of frequency change as a cue for distinguishing classes of speech sounds. Journal of Experimental Psychology, 52,127-137. - Liberman, A. M., Harris, K. S., Hoffman, H., and B. Griffith. (1957). The discrimination of speech sounds within and across phoneme boundaries. Journal of Experimental Psychology, 54, 358-368. - Liberman, A. M. (1957). Some results of research on speech perception. Journal of the Acoustical Society of America, 29, 117-123. - Liberman, A. M., Delattre, P. C., and F. S. Cooper. (1958). Some cues for the distinction between voiced and voiceless stops in initial position. Language and Speech, 1, 153-167. - Liberman, A. M., Ingemann, F., Lisker, L., Delattre, P. C., and F. S. Cooper. (1959). Minimal rules for synthesizing speech. Journal of the Acoustical Society of America, 31, 1490-1499. - Liberman, A. M., Harris, K. S., Eimas, P., and L. Lisker. (1961). An effect of learning on speech perception: The discrimination of durations of silence with and without phonemic significance. Language and Speech, 4, 175-195. - Liberman, A. M., Harris, K. S., Kinney, J. A., and H. Lane. (1961). The discrimination of relative onset-time of the components of certain speech and non-speech patterns. Journal of Experimental Psychology, 61, 379-388. - Studdert-Kennedy, M. and A.M. Liberman. (1962). Psychological considerations in the design of reading machines for the blind. Proceedings of the International Congress on Technology and Blindness, 1, 289-304. - Liberman, A. M., Cooper, F. S., Harris, K. S., and P. J. MacNeilage. (1963). A motor theory of speech perception. Proceedings of the Symposium on Speech Communication Seminar, Royal Institute of Technology, Stockholm. Paper D3, Vol. II. - Liberman, A. M., Cooper, F. S., Shankweiler, D. P., & M. Studdert-Kennedy. (1967). Perception of the speech code. Psychological Review, 74, 431-461. - Liberman, A. M., Cooper, F. S., M. Studdert-Kennedy. (1968). Why are spectrograms hard to read? American Annals of the Deaf, 113, 127-133. - Liberman, A. M., Cooper, F. S., Studdert-Kennedy, M., Harris, K. S., & D. P. Shankweiler. (1968). On the efficiency of speech sounds. Z. Phonetick. Sprachwissenschaft und Kommunikationsforschung, 21, 21-32. - Stevens, K. N., Liberman, A. M., Ohman, S. E. G., & M. Studdert-Kennedy. (1969). Cross-language study of vowel perception. Language and Speech, 12,(1), 1-23. - Mattingly, I. G. & A. M. Liberman. (1970). The speech code and the physiology of language. In: Information Processing in the Nervous System, K.N. Leibovic, Ed. (pp. 97-117). Springer Verlag. - Liberman, A. M. (1970). The Grammars of Speech and Language. Cognitive Psychology, 1, 301-323. - Liberman, A. M. (1970). Some characteristics of perception in the speech mode. Perception and its Disorders 48, 238-254. Discrimination in speech and nonspeech modes. Cognitive Psychology, 2, 131-157. - Liberman, A. M., Mattingly, I. G., & M.T. Turvey. (1972). Language codes and memory codes. In: Coding Processes in Human Memory, A.W. Melton and E. Martin, Eds. (pp. 307-334) V.H. Winston and Sons. - Liberman, A. M. & F. S. Cooper. (1972). In search of the acoustic cues. In: Papers on Linguistics and Phonetics to the Memory of Pierre Delattre, A. Valdman, Ed. (pp. 329-338). Mouton, The Hague. - Liberman, A. M. (1974). Language processing: State-of-the-art report. In: Sensory Capabilities of Hearing-Impaired Children, R. Stark, Ed. (pp. 129-141). University Park Press, Baltimore. - Liberman, A. M. (1974). The specialization of the language hemisphere. In: The Neurosciences: Third Study Program, F. O. Schmitt and F. G. Worden, Eds. (pp. 43-53). MIT Press. - Liberman, A. M. (1974). The speech code. In: Communication, language, and meaning. G. A. Miller (Ed.). (pp. 128-140). New York: Basic Books. - Miyawaki, K., Strange, W., Verbrugge, R., Liberman, A. M., & J. J. Jenkins. (1975). An effect of linguistic experience: The discrimination of [r] and [l] by native speakers of Japanese and English. Perception and Psychophysics, Vol. 18, (5), 331-340. - Liberman, A. M.& D. B. Pisoni. (1977). Evidence for a special speech-perceiving subsystem in the human. In: The Recognition of Complex Acoustic Signals, ed. by T.H. Bullock. (Berlin: Dahlem Konferenzen), 59-76. - Liberman, A. M.& M. Studdert-Kennedy. (1978). Phonetic perception. In: Held, R., Leibowitz, H. and H-L. Teuber (eds.). Handbook of Sensory Physiology, Vol. VIII, Perception (Heidelberg: Springer Verlag) 143-178. - Liberman, I. Y., Shankweiler, D., Liberman, A. M., Fowler, C., F. S. Fischer. (1978). Phonetic segmentation and recoding in the beginning reader. In: Reading: The CUNY Conference, by A.S. Reber and D. Scarborough (New York: Erlbaum Associates), 207-225. - Liberman, A. M. (1979). How abstract must a motor theory of speech perception be? Revue de Phonetique Appliquee. (Proceedings of the Plenary Addresses of the VIIIth International Congress of Phonetic Sciences.) Universite De L'Etat Mons, Belgium, 49/50, 41-58. - Liberman, A. M. (1979). An ethological approach to language through the study of speech perception. In: Human Ethology, ed. by M. von Cranach, K. Foppa, W. Lepenies, and D. Ploog. (Cambridge: Cambridge University Press), 682-704. - Liberman, I. Y., Liberman, A. M., Mattingly, I. G., & D. Shankweiler. (1980). Orthography and the beginning reader. In: Orthography, Reading, and Dyslexia, ed. by J. F. Kavanagh and R. Venezky. (Baltimore: University Park Press), 137-153. - Liberman, A. M. (1983).What a perception-production link does for language. The Behavioral and Brain Sciences, Vol. 6, Number 2, p. 216. - Liberman, A. M., & I. G. Mattingly. (1985). The motor theory of speech perception revised. Cognition, 21, 1-36. - Mattingly, I. G. & A. M. Liberman. (1985). Verticality unparalleled. (Comments on The Modularity of Mind, by J.A. Fodor. Cambridge: MIT Press). Behavioral and Brain Sciences, 8, 24-26. - Liberman, A. M. (1986). Brief comments on invariance in phonetic perception. In: J.S. Perkell and D.H. Klatt (Eds. ), Invariance and variability of speech processes, (pp. 490-492). Hillsdale, NJ: Erlbaum. - Whalen, D. H., & A. M. Liberman. (1987). Speech perception takes precedence over nonspeech perception. Science, Vol. 23, 169-171. - Repp, B. H. & A. M. Liberman. (1987). Phonetic categories are flexible. In: S. Harnad (Ed.) Categorical Perception, (pp. 89-112). Cambridge University Press. - Mattingly, I. G. & A. M. Liberman. (1988). Specialized perceiving systems for speech and other biologically significant sounds. In G. M. Edelman, W. E. Gall, and W. M. Cowan (Eds.). Functions of the Auditory System. (pp. 775-793). New York: Wiley. - Liberman, A. M. & Mattingly, I. G. (1989). A specialization for speech perception. Science, 243, 489-494. - Liberman, I. Y., Shankweiler, D., & Liberman, A. M. (1989). The alphabetic principle and learning to read. In D. Shankweiler & I. Y. Liberman (Eds. ), Phonology and Reading Disability: Solving the Reading Puzzle. Research Monograph Series. Ann Arbor: University of Michigan Press. - Liberman, I. Y., & Liberman, A. M. (1990). Whole language vs. Code Emphasis: Underlying assumptions and their implications for reading instruction. Annals of Dyslexia, 40, 51-76. - Mattingly, I.G. & A.M. Liberman. (1990). Speech and other auditory modules. In G.M. Edelman, W.E. Gall, and W.M. Cowan (Eds.) Signal and Sense: Local and Global Order in Perceptual Maps. New York: Wiley. - Liberman, A. M. (1991). Afterthoughts on Modularity and the Motor Theory. In I. G. Mattingly & M. Studdert-Kennedy (Eds. ), Modularity and the Motor Theory of Speech Perception. Hillsdale, NJ: Lawrence Erlbaum. - Liberman, A. M. & Mattingly, I. G. (1991). Modularity and the effects of experience. In R. R. Hoffman & D. S. Palermo (Eds. ), Cognition and the Symbolic Processes, Vol. 3: Applied and Ecological Perspectives. Hillsdale, NJ: Lawrence Erlbaum. - Liberman, A. M. (1991). Observations from the Sidelines. Reading and Writing: An Interdisciplinary Journal, 3, 429-433. Netherlands: Kluwer Academic Publishers. - Liberman, A. M. (1992). Plausibility, parsimony, and theories of speech. In J. Alegria, D. Holender, J. Junca de Morais, and M. Radeau, (Eds) Analytic Approaches to Human Cognition (pp. 25-40). Amsterdam: Elsevier Science Publishers B.V.
- Liberman, A. M. (1992). The relation of speech to reading and writing. In R. Frost and L. Katz, Eds. Orthography, Phonology, Morphology, and Meaning. North Holland Publishers: Elsevier. - Liberman, A. M. (in press). In speech perception, time is not what it seems. Proceedings of the conference on Temporal Information Processing in the Nervous System: Special Reference to Dyslexia and Dysphasia. The New York Academy of Sciences, New York (September 12-15, 1992). Isabelle Yoffe Liberman (1918 - 1990) was an American psychologist, born in Latvia, who was an expert on reading disabilities, including dyslexia. Isabelle Liberman received her bachelor's degree from Vassar College and her doctorate from Yale University. She was a professor at the University of Connecticut from 1966 through 1987 and a research associate at the Haskins Laboratories. 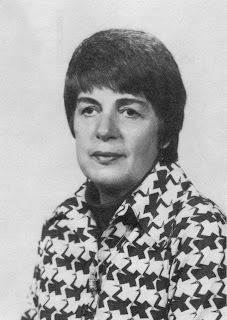 Along with her husband, Alvin Liberman, she elucidated the "alphabetic principle" and its relationship to phonemic awareness and phonological awareness in reading. In 1988 she received the Samuel T. Orton Award of the Orton Dyslexic Society for contributing to wider understanding of reading disabilities. Liberman, I. Y. (1973) Segmentation of the Spoken Word and Reading Acquisition. Bulletin of the Orton Society, XXIII, 65-77. Liberman, Isabelle Y., Donald Shankweiler, F. William Fischer and Bonnie Carter (1974). Explicit syllable and phoneme segmentation in the young child. Journal of Experimental Child Psychology 18 (2), 201-212. Liberman, I.Y., Shankweiler, D., Camp, L., Blachman, B., & Werfelman, M. (1979). Steps toward literacy: A linguistic approach. In Resnick L., Weaver, P.(eds. ): Theory and practice of early reading, Vol. 2. Hillsdale, NJ. Erlbaum Associates. Liberman, I., Liberman, A.M., Mattingly, I. & Shankweiler, D. (1980). Orthography and the Beginning Reader. In J.F. Kavanagh & R.L. Venezky (eds.) Orthography, Reading, and Dyslexia. University Park Press: Baltimore. pp. 137-153. Liberman, I. Y. and Shankweiler, D. (1985) Phonology and the problems of learning to read and write. In Topical Issue (I. Y. Liberman, Guest Editor), Remedial and Special Education, 6(6), 8-17. Liberman, Isabelle Y. & Shankweiler, Donald. (1987) Phonology and the problems of learning to read and write. Memory and Learning Disabilities. Advances in Learning and Behavioral Disabilities, Suppl. 2, 203- 224. Liberman, I. Y. (1987) Language and Literacy: The Obligation of the Schools of Education. In W. Ellis (Ed. ), Intimacy with language: A forgotten basic in teacher education. Baltimore: The Orton Dyslexia Society, 1-9. Liberman, I. Y., Shankweiler, D., & Liberman, A. M. (1990). The Alphabetic Principle and Learning to Read. In D. Shankweiler & I. Y. Liberman (Eds. ), Phonology and Reading Disability: Solving the Reading Puzzle. (1989). IARLD Research Monograph Series. Ann Arbor: University of Michigan Press. Donald P. Shankweiler   is an eminent psychologist and cognitive scientist who has done pioneering work on the representation and processing of language in the brain. He is a Professor Emeritus of Psychology at the University of Connecticut, a Senior Scientist at Haskins Laboratories in New Haven, Connecticut, and a member of the Board of Directors at Haskins. Donald Shankweiler's research career has spanned a number of areas related speech perception, reading, and cognitive neuroscience. His main interests have been studying the acquisition of reading and writing, understanding disorders of reading, writing, and spoken language, and exploring the representation of spoken and written language in the brain. 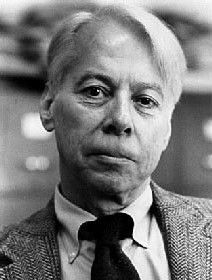 In the 1960s, Shankweiler and Michael Studdert-Kennedy used a dichotic listening technique (presenting different nonsense syllables simultaneously to opposite ears) to demonstrate the dissociation of phonetic (speech) and auditory (nonspeech) perception by finding that phonetic structure devoid of meaning is an integral part of language, typically processed in the left cerebral hemisphere. Alvin Liberman, Franklin S. Cooper, Shankweiler, and Studdert-Kennedy summarized and interpreted fifteen years of research in a paper "Perception of the Speech Code," that argued for the motor theory of speech perception. This is still among the most cited papers in the speech literature. It set the agenda for many years of research at Haskins and elsewhere by describing speech as a code in which speakers overlap (or coarticulate) segments to form syllables. Shankweiler's current work, done in conjunction with Dave Braze and other colleagues at Haskins Laboratories, identifies sources of reading-related comprehension difficulties that are most subject to individual differences, and studies their cognitive and neurobiological underpinnings. This novel project brings together the knowledge base on reading differences and advanced psycholinguistic methods for studying on-line sentence processing, including tracking eye movements during reading and tracking brain activity (using fMRI) during coordinated reading and listening tasks. • Shankweiler, D. P., & Harris, K. S. (1966). An experimental approach to the problem of articulation in aphasia. Cortex, 2, 277-292. • Shankweiler, D., & Studdert-Kennedy, M. (1967). Identification of consonants and vowels presented to the left and right ears. Quarterly Journal of Experimental Psychology, 19, 59-63. • M. Liberman, F. S. Cooper, D. S. Shankweiler, and M. Studdert-Kennedy. Perception of the speech code. (1967). Psychological Review, 74, 1967, 431-461. • Studdert-Kennedy, M., & Shankweiler, D. P. (1970). Hemispheric specialization for speech perception. Journal of the Acoustical Society of America, 48, 579-594. • Studdert-Kennedy, M., Shankweiler, D., & Schulman, S. (1970). Opposed effects of a delayed channel on perception of dichotically and monotically presented CV syllables. Journal of the Acoustical Society of America, 48, 599-602. • Shankweiler, D. & Liberman, I.Y. (1972). Misreading: A search for causes.In Kavanagh, James F. & Mattingly, Ignatius G.(eds.) Language by ear and by eye; the relationships between speech and reading. (pp.293-317). Cambridge, Mass., MIT Press. • Studdert-Kennedy, M., Shankweiler, D., & Pisoni, D. (1972). Auditory and phonetic processes in speech perception: Evidence from a dichotic study. Journal of Cognitive Psychology, 2, 455-466. • Shankweiler, D., & Crain, S. (1986) Language mechanisms and reading disorder: A modular approach. Cognition, 24, 139-168. • Lukatela, K., Shankweiler, D., & Crain, S. (1995). Syntactic processwing in agrammatic aphasia by speakers of a Slavic language. Brain and Language, 19, 50-76. • Shankweiler, D., Crain, S., Katz, L., Fowler, A., Liberman, A. M., Brady, S., Thornton, R., Lundquist, E., Dreyer, L., Fletcher, J. Steubing, K., Shaywitz, S. E., & Shaywitz, B. (1995). Cognitive profiles of reading-disabled children: Comparison of language skills in phonology, morphology, and syntax. Psychological Science, 6, 149-156. • Shankweiler, D., Lundquist, E., Katz, L., Steubing, K., Fletcher, J., Brady, S., Fowler, A., Dreyer, L., Marchione, K., Shaywitz, S., & Shaywitz, B. (1999). Comprehension and decoding: Patterns of association in children with reading difficulties. Scientific Studies of Reading, 3, 95-112. • Shankweiler, D. (1999). Words to meanings. Scientific Studies of Reading, 3, 113-127. • Ni, W., Constable, R. T., Mencl, W. E., Pugh, K., Fulbright, R., Shaywitz, S., Shaywitz, B., Gore, J. & Shankweiler, D. (2000). An event-related neuroimaging study distinguishing form and content in sentence processing. Journal of Cognitive Neuroscience, 12, 120-133. • Pugh, K., Mencl, E.W., Shaywitz, B. A., Shaywitz, S. E., Fulbright, R. K., Skudlarski, P., Constable, R. T., Marchione, K., Jenner A. R., Shankweiler, D. P., Katz, L., Fletcher, J., Lacadie, C., & Gore, J. C. (2000). The angular gyrus in developmental dyslexia: Task-specific differences in functional connectivity in posterior cortex, Psychological Science, 11, 51-56. • Crain, S., Ni, W., & Shankweiler, D. (2001). Grammatism. Brain and Language, 77, 294-304. • Braze, D., Shankweiler, D.P., Ni, W., & Palumbo, L.C. (2002). Reader's eye movements distinguish anomalies of form and content. Journal of Psycholinguistic Research, 31, 25-44. • Constable, R.T., Pugh, K. R., Berroya, E., Mancl, W. E., Westerveld, M., Ni, W., & Shankweiler, D. (2004). Sentence complexity and input modality effects in sentence comprehension: An fMRI study. NeuroImage, 22, 11-21. • Shankweiler, D., Palumbo, L. C., Ni, W., Mencl, W. E., Fulbright, R., Pugh, K. R., Constable, R. T., Harris, K.S., Kollia, B., & Van Dyke, J. (2004). Unexpected recovery of language function after massive left-hemisphere infarct: Coordinated psycholinguistic and neuroimaging studies. Brain and Language, 91, 181-182. • Shankweiler, D. & Fowler, A. E. (2004). Questions people ask about the role of phonological processes in learning to read. Reading and Writing: An Interdisciplinary Journal, 17, 483-515. • Fletcher-Flinn, C. M.., Shankweiler, D., & Frost, S. J. (2004). Coordination of reading and spelling in early literacy: An examination of the discrepancy hypothesis. Reading and Writing: An Interdisciplinary Journal, 17, 617-644. • Byrne, B., Shankweiler, D., & Hine, D.W. (in press). Reading development of children at risk for dyslexia. To appear in M. Mody & K. Silliman (Eds. ), Language impairment and reading disability: Interactions among brain, behavior, and experience. New York: Guilford. • Braze, D., Tabor, W., Shankweiler, D. P., & Mencl, W. E. (in press). Speaking up for Vocabulary: Reading Skill Differences in Young Adults. Journal of Learning Disabilities. • LeVasseur, V., Macaruso, P., Palumbo, L., & Shankweiler, D. (2006). Syntactically cued text facilitates oral reading fluency in developing readers. Applied Psycholinguistics, 27, 423-445. Shankweiler, D., Crain, S., Katz, L., Fowler, A., Liberman, A. M., Brady, S., Thornton, R., Lundquist, E., Dreyer, L., Fletcher, J. Steubing, K., Shaywitz, S. E., & Shaywitz, B. (1995). Cognitive profiles of reading-disabled children: Comparison of language skills in phonology, morphology, and syntax. Psychological Science, 6, 149-156. Shankweiler, D. (1999). Words to meanings. Scientific Studies of Reading, 3, 113-127. Ni, W., Constable, R. T., Mencl, W. E., Pugh, K., Fulbright, R., Shaywitz, S., Shaywitz, B., Gore, J. & Shankweiler, D. (2000). An event-related neuroimaging study distinguishing form and content in sentence processing. Journal of Cognitive Neuroscience, 12, 120-133. Braze, D., Tabor, W., Shankweiler, D., & Mencl, W. E. (2007). Speaking up for vocabulary: Reading skill differences in young adults. Journal of Learning Disabilities, 40, 226-243. Fellow, American Psychological Association, Division 6. 1998 Award for Distinguished Contribution to Research, Society for the Scientific Study of Reading (shared with A. M. Liberman and I. Y. Liberman). 2007 Visiting Researcher, Max Planck Institute for Psycholinguistic Research, Nijmegen, NL. Shankweiler, D., Palumbo, L. C., Ni, W., Mencl, W. E., Fulbright, R., Pugh, K. R., Constable, R. T., Harris, K.S., Kollia, B., & Van Dyke, J. (2004). Unexpected recovery of language function after massive left-hemisphere infarct: Coordinated psycholinguistic and neuroimaging studies. Brain and Language, 91, 181-182. Shankweiler, D. & Fowler, A. E. (2004). Questions people ask about the role of phonological processes in learning to read. Reading and Writing: An Interdisciplinary Journal, 17, 483-515. Byrne, B., Shankweiler, D., & Hine, D.W. (2008). Reading development of children at risk for dyslexia. In M. Mody & K. Silliman (Eds. ), Language impairment and reading disability: Interactions among brain, behavior, and experience. New York: Guilford. LeVasseur, V., Macaruso, P., & Shankweiler, D. (2008). Promoting gains inreading fluency: A comparison of three approaches. Reading and Writing: An Interdisciplinary Journal, 21, 205-230. Pre-Conference Symposium, Fifteenth Annual Meeting of the Society for the Scientific Study of Reading, Asheville, NC, July 9, 2008, The Phonological Deficit Hypothesis: How Well Has It Withstood the Test of Time (and Evidence)? Honoring the Career of Donald P. Shankweiler.